Michael Carbonaro pours a drink into what appears to be a levitating cup on The Carbonaro Effect on Tru TV. I was going through the on-screen programming guide, when I ran across a show called The Carbonaro Effect. I was curious about the show, so I recorded one episode. I liked it so much have been recording every episode I can find. The show can be seen at 10 PM ET and 9 PM CT on truTV. The Carbonaro Effect is a fun show to watch, as the victims of the tricks try to figure out what just happened. Michael Carbonaro the magician/host of the show is perfectly cast, as his easygoing way with the victims of his magic tricks leads some of them to believe his off the wall reasons for the magic occurring. Some of my favorite tricks are when Michael is looking for a key in the trunk of a car and “accidentally” locks himself in the trunk. The man he was talking to when this happens tries, to figure out how to get him out of the trunk. Before he can get him out Michael comes out the front door of the hotel and says “I found the key”. The look on the face of the man, who was trying to help him get out is priceless, when Michael appears with the key. Another favorite trick is when he thinks he has the winning ticket for a new car in a raffle. There is a security guard with a table in front of the car which is in front of a temporary garage. Michael gives him some identification, but then realizes he left his winning ticket at home, so tells security guard he will walk home to get his ticket. After Michael leaves the security guard looks behind him where the car was parked and the car was gone. A few minutes later Michael drives up in the same car, that he was supposed to win, and tells the security guard that he found the winning ticket. The security guard is going crazy trying to figure out how Michael got the car, that he was supposed to be guarding. You have to see this magic trick to really comprehend how good of a trick that it was. The following clip shows Michael knocking out passenger windows of cars and telling the owners, that all new cars today come with four windows. He tells them the first window is a dealer window and that all they have to do is break the dealer window and roll up the good windows. Some of the victims of this trick are not exactly happy campers to see him smash out their windows. I don’t want to give away any more of the tricks, but will say that another favorite trick is when he pours a huge pitcher of a drink, into a small cup and the cup still isn’t full. The lady tells him, that he is messing with her cognitive development, after looking amazed, that so much drink was poured into such a small cup. 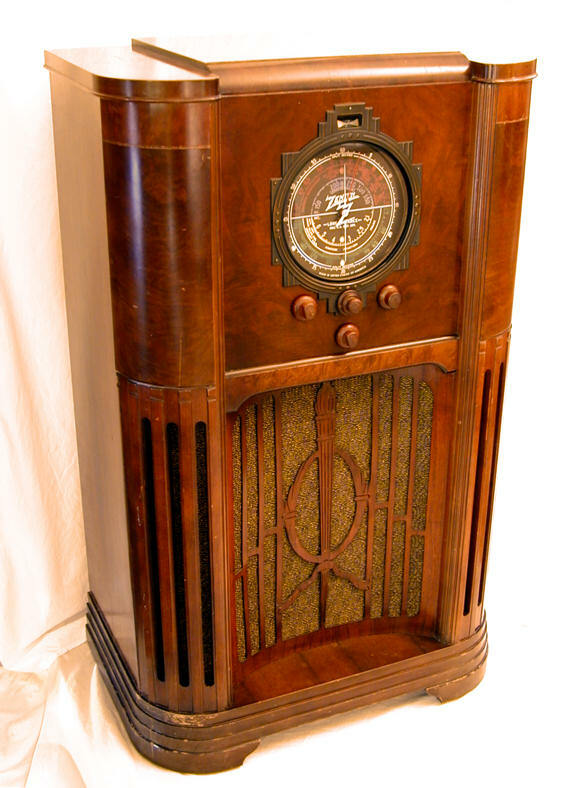 My grandpa who lived on a farm in Allendale, Missouri had a radio similar to this one and I listened to some Kansas City Athletics games on his radio console and will never forget how good the sound was, that emanated from that radio. Phonograph records have never really went away completely. Now many manufacturers are building modern versions of the record players we grew up. Those being built today play records, CD’s, cassettes and even have an input, for MP3 players to play their music over the phonograph system. Some record companies are still making vinyl records. Just went to eBay and found that there are 1,328,915 records for sale, so there will be a need for record players for years to come. Surprisingly, over 489,000 of those albums are new. I was fortunate about three or four years ago, to find a bookstore in Knoxville, Tennessee selling record albums for 25 cents each. You can build up a collection fast at those prices since $10 buys 40 record albums. Eight track players technology went right on by me, since I went straight from vinyl to cassettes. I never owned an eight track player or eight track tape. Not sure if eight track players are still being made today. If they are I have not heard about it. Compact disc players can be found in portable CD players, CD boomboxes, CD shelf systems and some CD players today can be found in phonograph combos, that play CD’s, cassettes, records and have a AM-FM radio, plus either have a dock for an I-pod or a line in for a MP3 player. 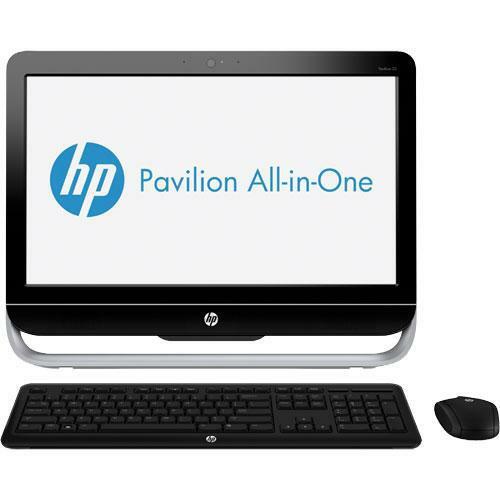 Some even have the capability of recording from a record, cassette or radio to a CD. 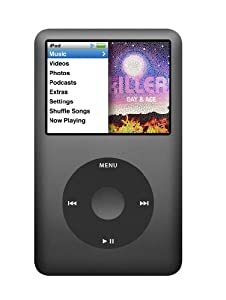 This Ipod Classic 160 GB player is the ultimate player, for those who like to record music, videos and store photos. This player can record 40,000 songs, which is equivalent to having 4,000 albums, with 10 songs each stored in this player. However, if you want to store videos and photos, then that would reduce the storage place for music. Who has 4,000 albums anyway? This player may not have all the bells and whistles, of an iPod Touch, but an iPod Touch is not going to have near the capacity of this player. One drawback to the 160 GB version is that the screen is only 2.5 inches, which is small, compared to the newest IPod Touch, which has a 4 inch screen. Technology has come a long way from the phonographs of the early days, to machines that can hold 40,000 songs and play any song, almost instantaneously, after going through the folders to find the song you want to play or you can watch videos of movies and TV shows. This is a Maytag ringer washing machine. There may be still be people using these machines, but they have to be few and far between, with the technology today, that lets the operator turn the machine on and put some soap in the machine and leave it to wash the clothes and come back an hour later or so and put those clothes into a dryer. When is the last time you have seen bottles of milk, on your porch when door to door delivery of milk was popular? I remember when our milkman had only a four number telephone number on his truck. When is the last time you saw someone actually typing on a typewriter like this Underwood Typewriter? There are probably some holdouts still using typewriters like this, but there can’t be a whole lot of them. I can still remember the days of the nickel coke. The bottles may have been only 6 ounces, but today you spend at least $1.50 most places for 20 ounces of Coca-Cola. Back in the old days you could buy 24 ounces for only 20 cents. A $1.50 back then would buy 30 bottles of 6 ounce Cokes. So if I am figuring right, then that comes out to 180 ounces of Coca-Cola, which would be equivalent to about three 2 liter Coca-Colas today. Not many stores today sell three liters of original Coca-Cola for $1.50. Today it is usually cheaper to buy a 2 liter bottle of Coca-Cola for a $1-$1.25 or more, than to spend $1.50 or more on a 20 ounce Coca-Cola. These ads will bring a lot of memories to the old-timers among us and will let the younger generation know about the days, when you could buy a Coca-Cola for 5 cents and a pack of gum for 5 cents. A combination radio-smoker which provided smokers with a place for their cigarettes, cigars, pipes and tobacco, while listening to their favorite radio programs on this $49.95 radio. This is the precursor of the Sony Walkman for only $7.95, before shipping and federal tax. A one pound bag of Bazooka Bubble Gum will set you back $7.99 today after inflation kicked in. You could look up and down every aisle of every grocery store in the United States today and not find these prices. Two boxes of Wheaties probably cost at least 25 cents nowadays and two pounds of coffee has probably doubled to 50 cents. Barber shop prices of the 1900’s on the left. No date given for the prices on the right. 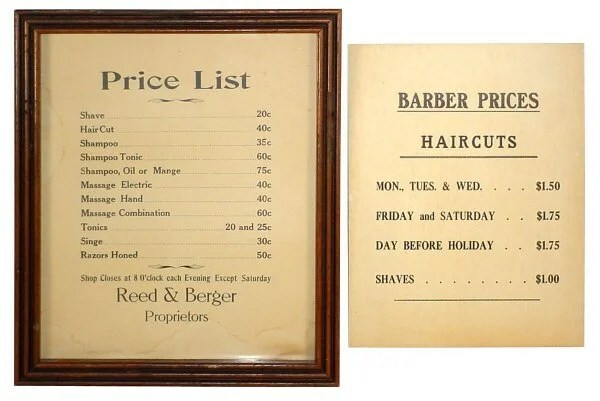 Barber shop prices over a 100 years later. 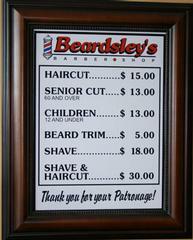 The shave and a haircut of the 1900’s cost a total of 60 cents. That same shave and haircut today costs $33.00. Stuckey’s was a place where you could fill up with gasoline, go to restrooms and shop for souvenirs and the famous Stuckey’s pecan candy. There was their famous pecan log rolls, pecan divinity and of course pecan pralines. I have to debate with myself whether my favorite was the divinity fudge or the pralines. The first Stuckey’s building was opened in 1937 and expanded into 350 stores. Stuckey’s merged with Pet Milk in 1967 and the 350 stores dwindled into 75, during the Pet Milk operation of the company. Most of the Stuckey’s stores sold Texaco gasoline back then. William S. Stuckey Sr., got the idea for the company when he had a bumper crop of pecans in 1930. His wife went to work in the kitchen and experimented with different candy recipes, which were the main drawing card for Stuckey’s, when they opened their first physical store in 1937. After the fortunes of the company declined during the Pet Milk ownership period, the son of Stuckey, who was U.S. congressman William S. Stuckey restored the Stuckey’s name by purchasing the company and there are now 115 Stuckey’s in the United States at the present time. 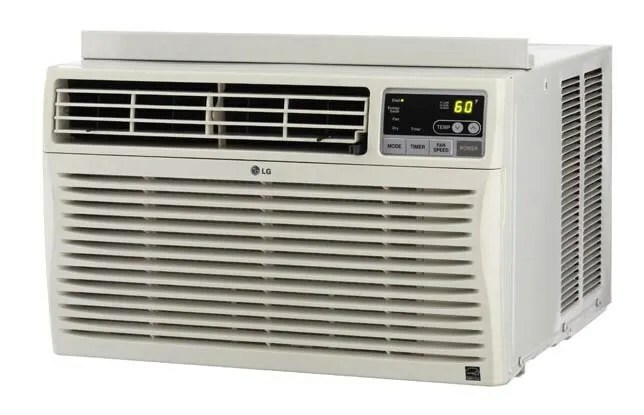 Stuckey’s are found as far north today as Connecticut, but surprisingly there are no stores in either New Jersey or New York. Most of the stores are concentrated in the southern states, but there are stores in Illinois, Pennsylvania and Indiana. 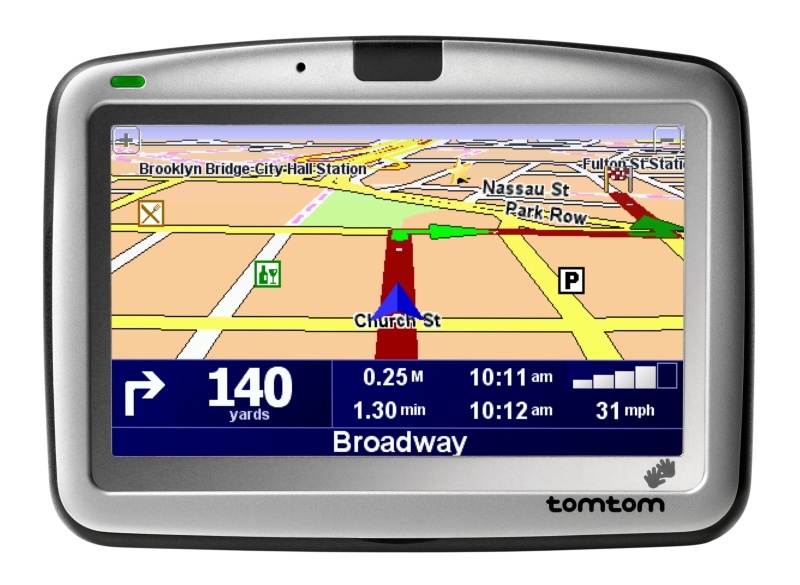 Stores are only located in 17 of the 50 states. I was surprised recently to see a Stuckey’s returning on a trip to Houston and the store sold gasoline, souvenirs and had a Popeye’s Fried Chicken place inside the store. There are nine Stuckey’s located in Texas, but the only Stuckey’s in Louisiana according to their website is a store in Opelousas. It was exciting to see signs for Stuckey’s, since we knew we could get off the road for a while, while we browsed the souvenir shop and found candy to munch on as we continued on down the highway. It is great to know the company still exists 56 years after our 1957 trip from Louisiana to our eventual destination of Maine to visit my uncle and aunt and their family. Stuckey’s has had its ups and downs since the first store was opened in 1937, but it is good to know, that the company is thriving again, now that the Stuckey family once again own the stores. 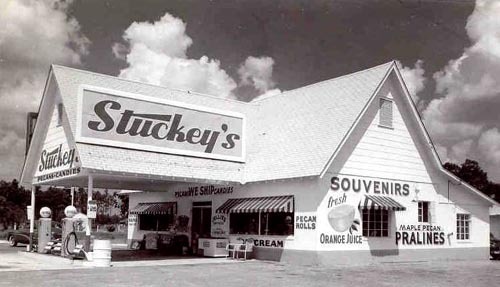 We want to thank them for restoring our memories of that 1957 trip, when Stuckey’s were a mainstay on the U.S. highway system. This is the original S.H. Kress building built in the 20's or 30's before new building was built many years later on Third Street. It seems like it was only yesterday that we were shopping at the S.H. Kress store in downtown Alexandria, Louisiana. The original store was built on Third Street and would later be replaced by a new structure on the same street. When we were kids, we did most of our Christmas shopping at stores like Kress where you could buy a lot of stuff with very little money. The Christmas tree would have a lot of presents under it, but most of them would be from stores like Kress, Morgan and Lindsey and Ben Franklin. One of my fondest memories is that of smelling the popcorn cooking in the popcorn machine in the store. S.H. Kress stores became a center of controversy, when they refused to let blacks sit at their lunch counters and were sued numerous times for that refusal. Part of growing up in central Louisiana were trips to the Kress store on Third Street in downtown Alexandria. 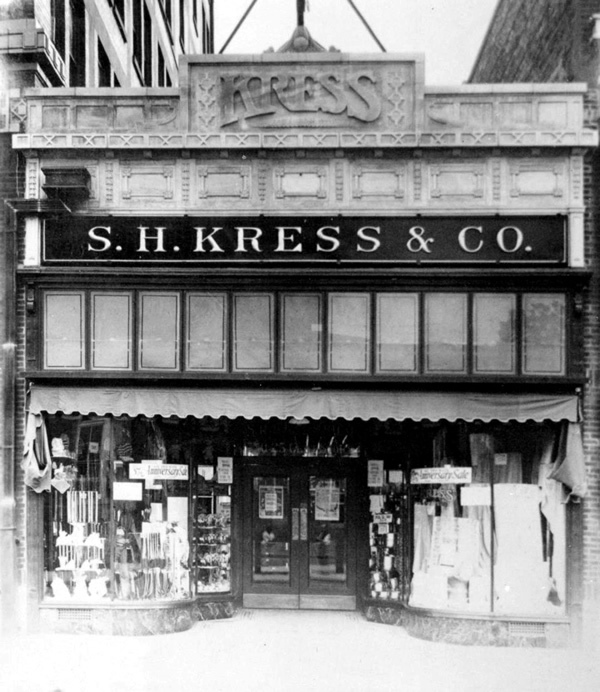 The first Kress store was opened in Nanticoke, Pennsylvania in 1887. Kress became a chain of 5-10-25 cent stores in 1896. Genesco purchased Kress in 1964 and 17 years later the company would no longer exist in the United States, and ceased operation in 1981. It missed by six years of surviving for 100 years. Alexandria would see many other stores like Kress closed when their companies went out of business. Other chain stores that were located in Alexandria or Pineville including, W.T. Grant, Woolworth’s, Woolco, Ben Franklin, Morgan and Lindsey and many more that ended their presence in Alexandria or Pineville. It has been thirty years now since Kress went out of the retail business. It was the same year that President Reagan took office on January 20 and would be shot in an assassination attempt by John Hinckley on March 30 of that year. Pope John Paul II is shot and almost killed by a Turkish gunman inside Vatican City. August 1 – MTV is launched. October 6 – President of Egypt Anwar Sadat is assassinated during a parade. December 28- Elizabeth Jordan Carr becomes the first test tube baby to be born and grew up to be a newspaper journalist. 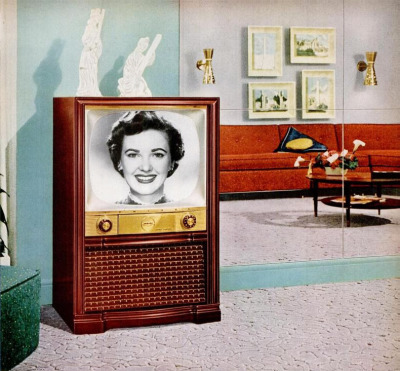 The last old time radio show aired on September 30,1962. Next year marks the 50th anniversary of Suspense and Yours Truly, Johnny Dollar being the last old time radio shows to be broadcast.